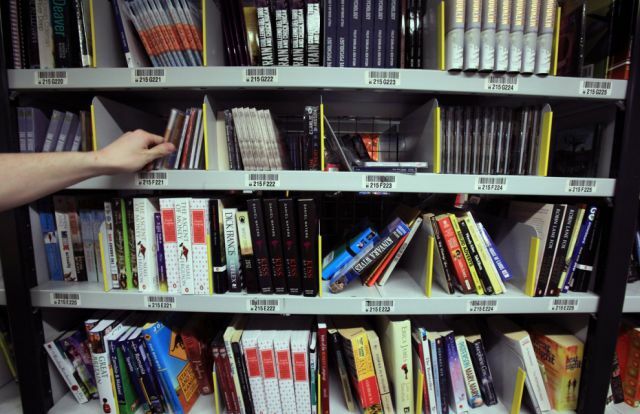 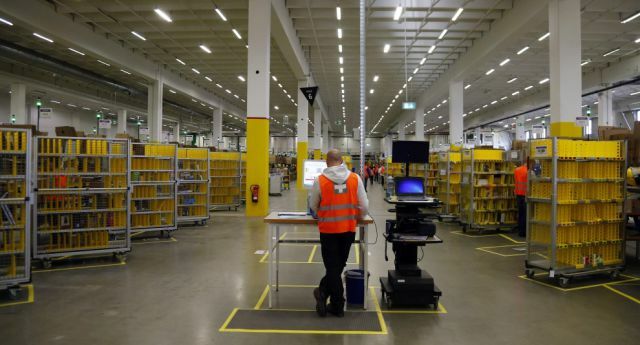 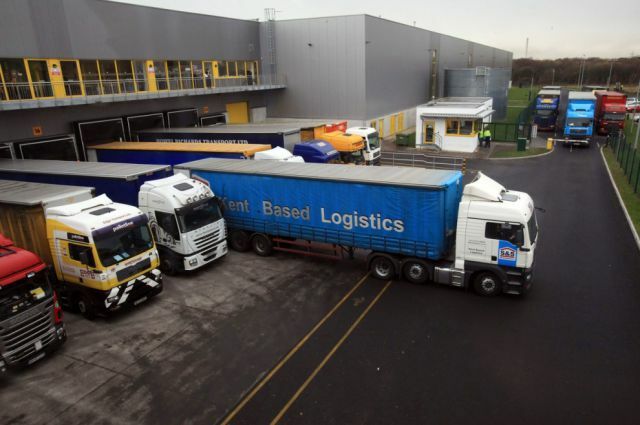 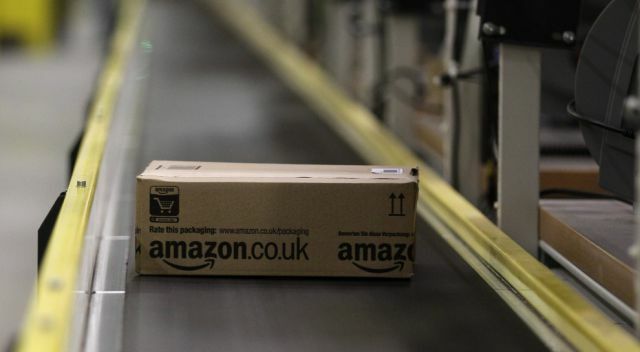 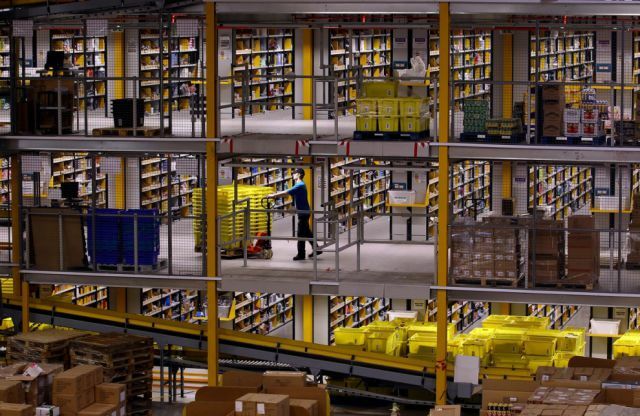 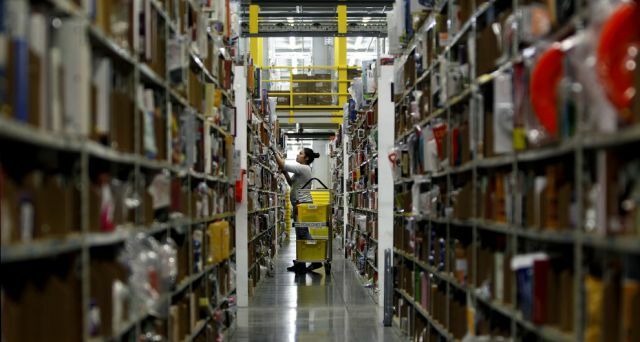 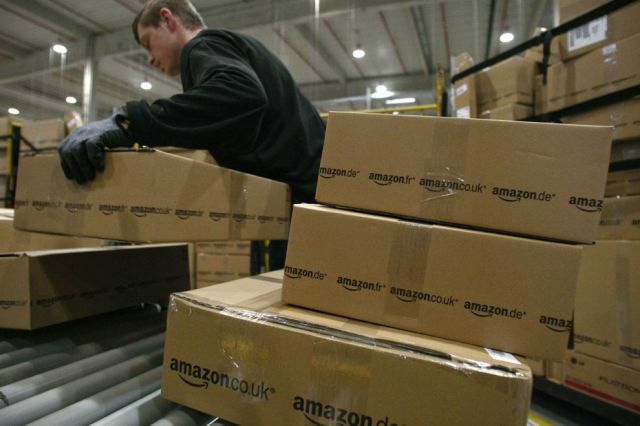 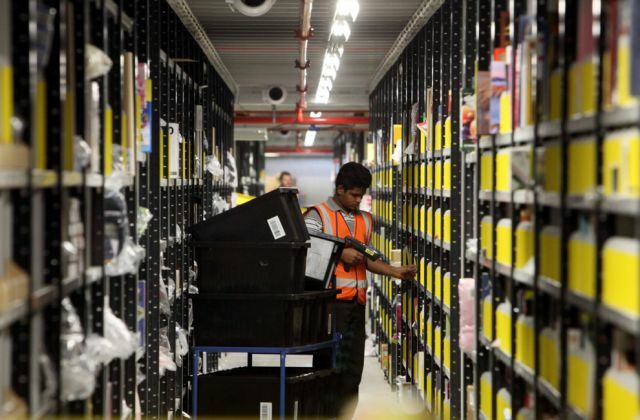 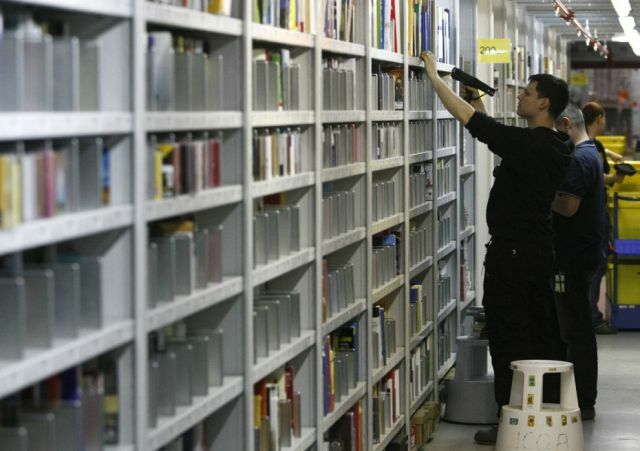 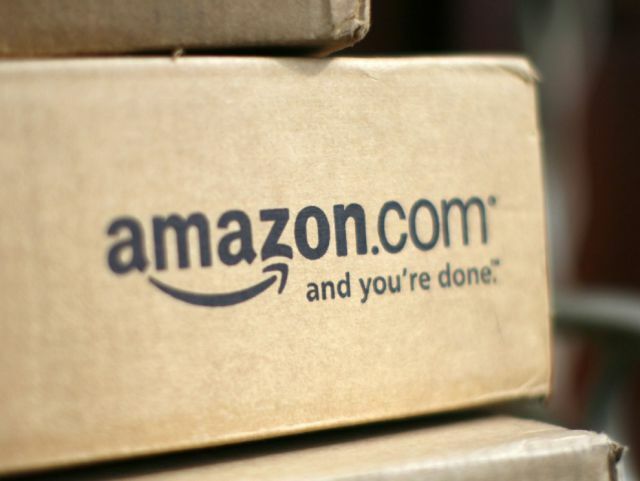 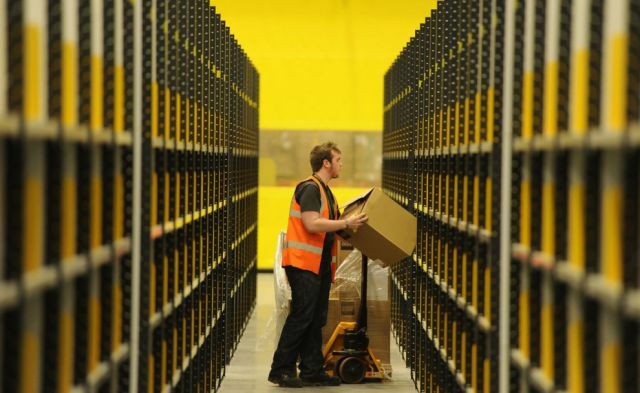 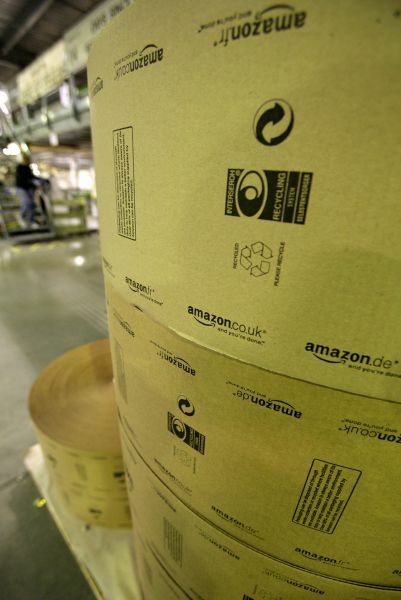 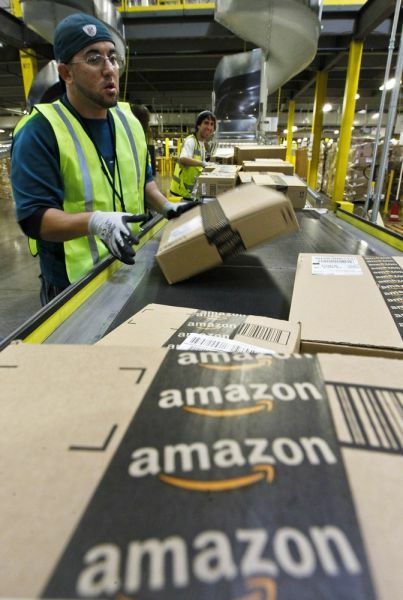 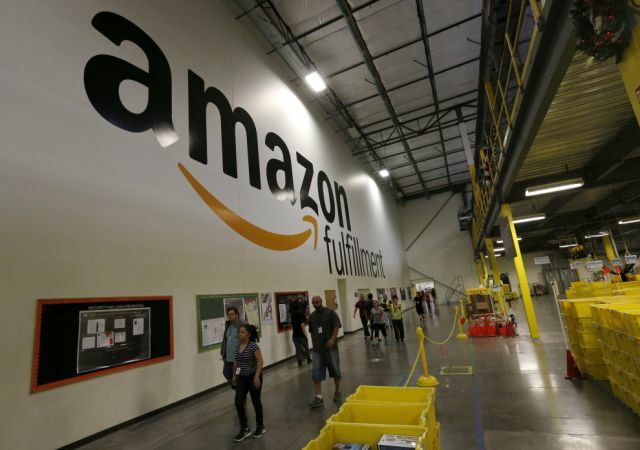 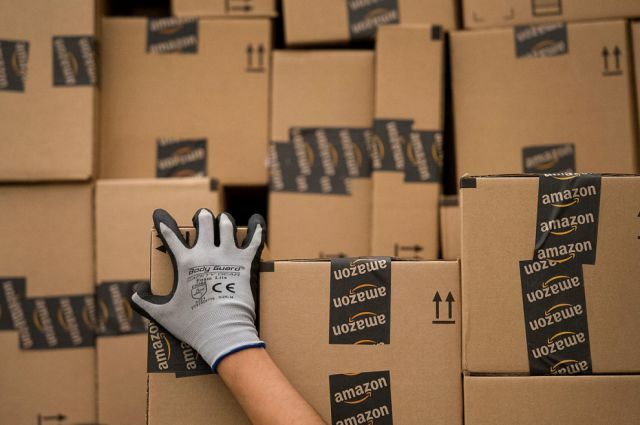 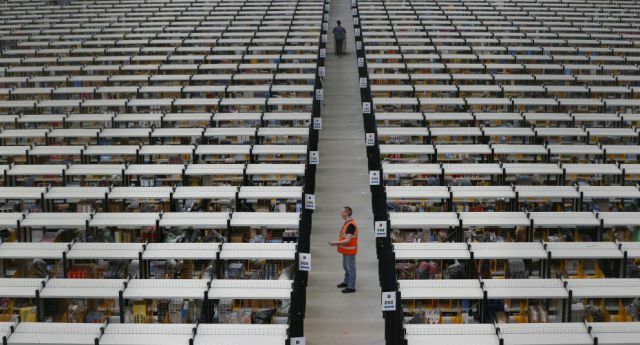 I've read where many of their employees feel abused but from my consumer viewpoint, Amazon is one of the best run companies I have ever dealt with. 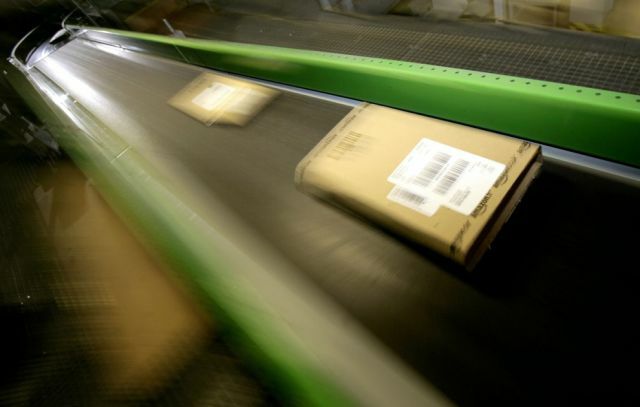 I always get my orders very fast and their customer service is top notch. 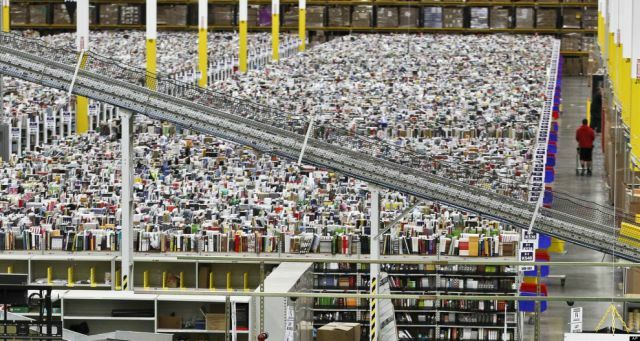 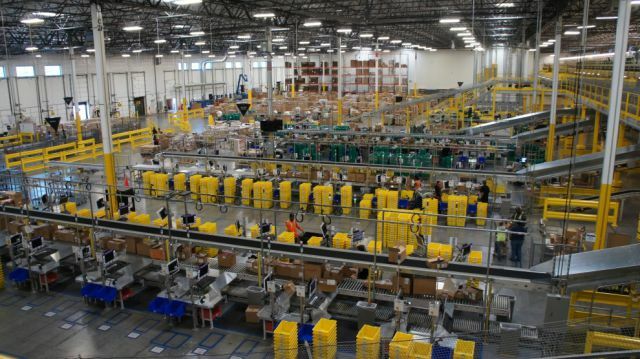 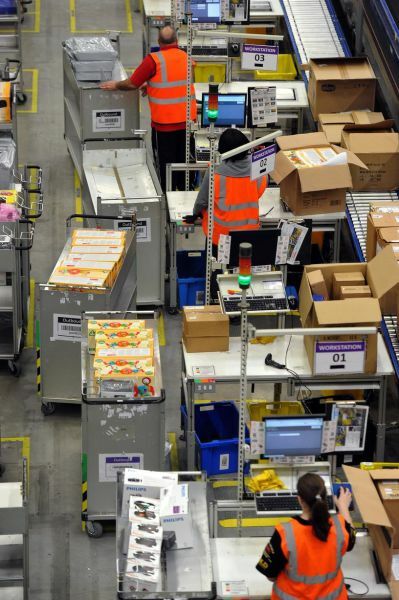 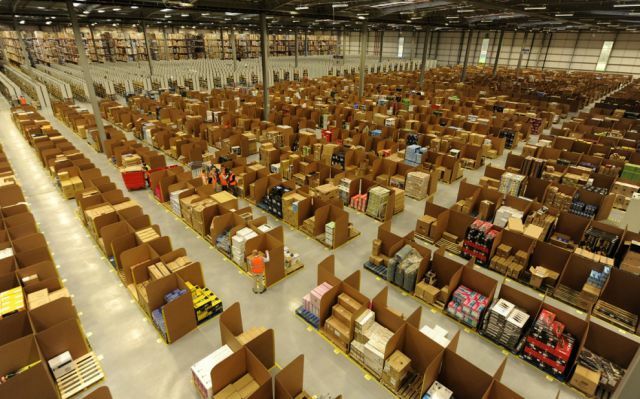 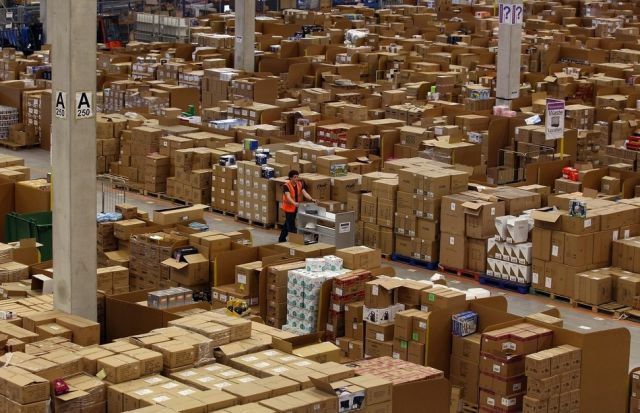 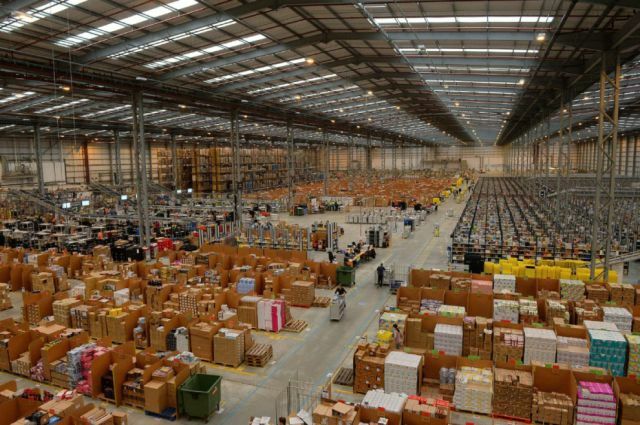 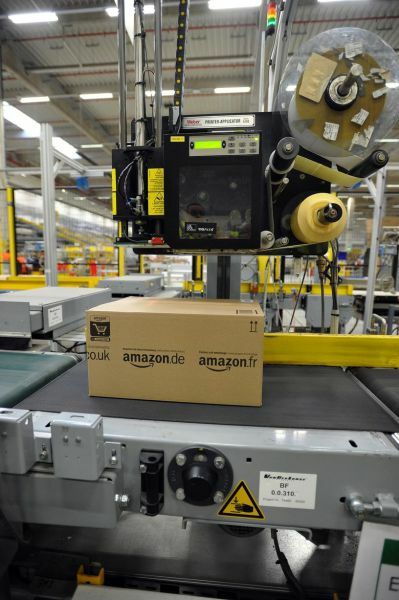 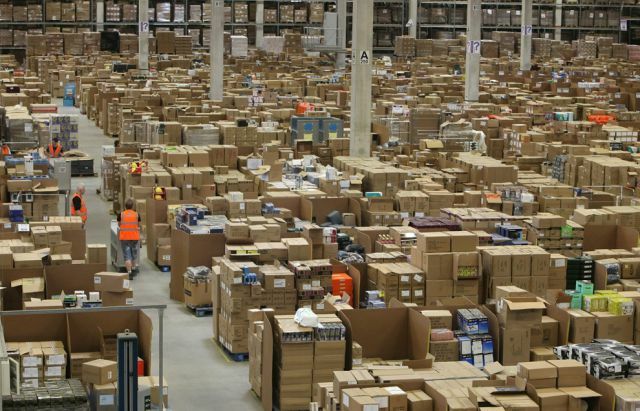 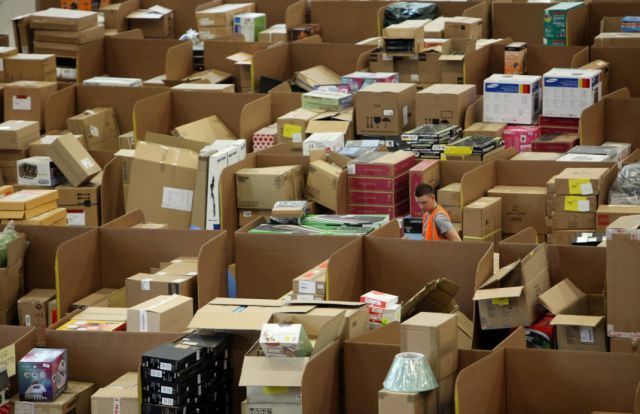 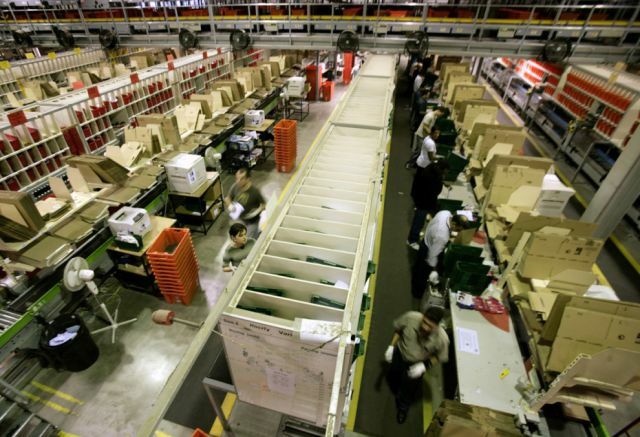 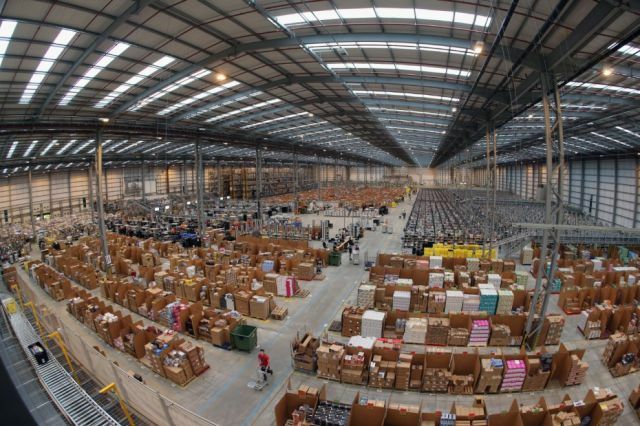 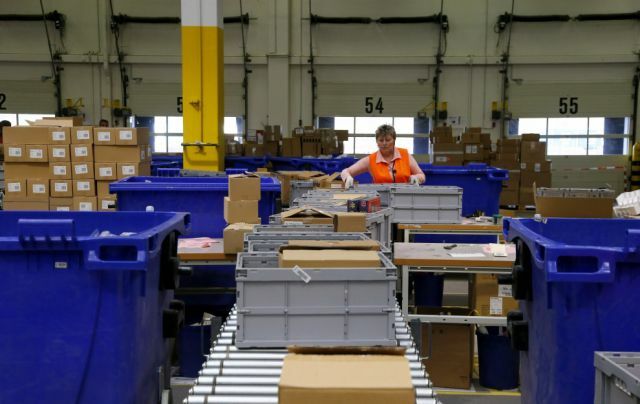 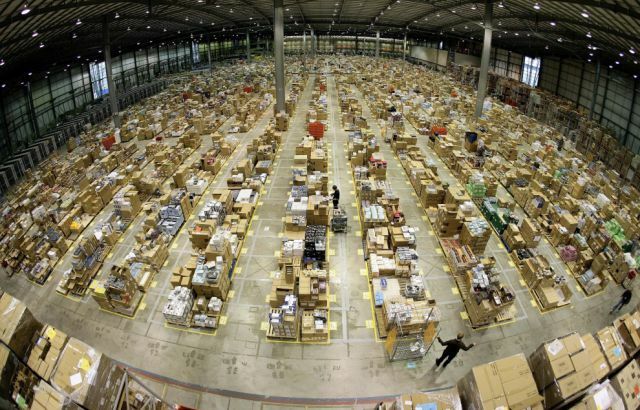 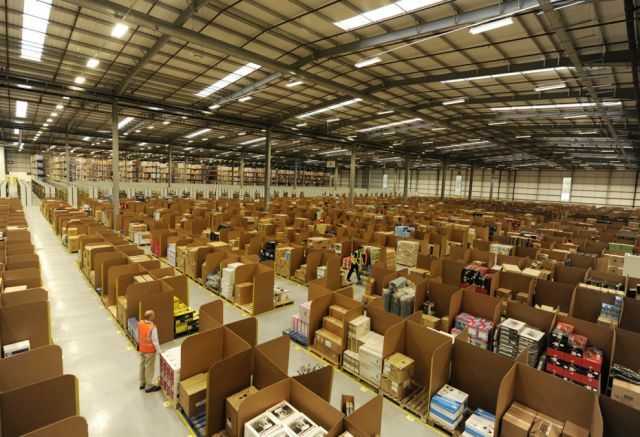 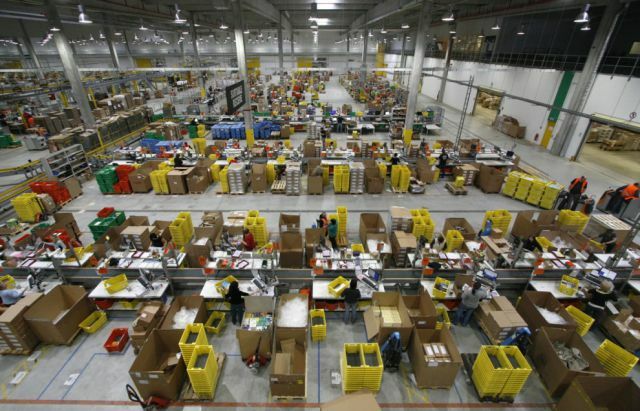 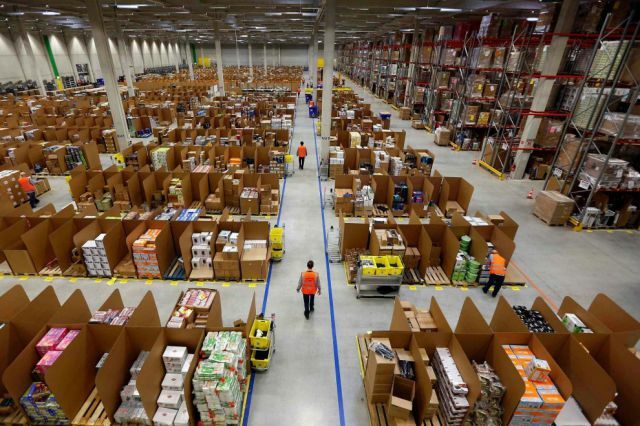 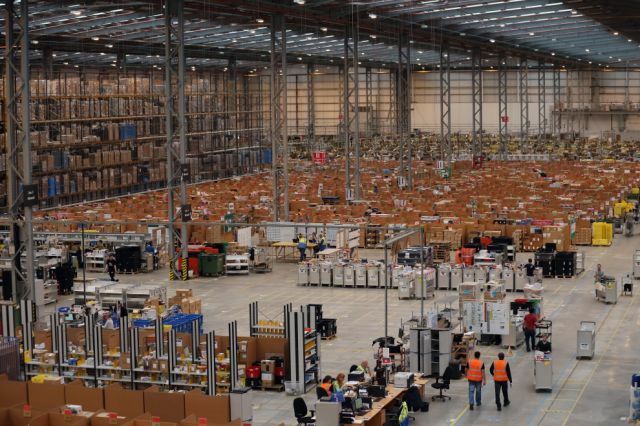 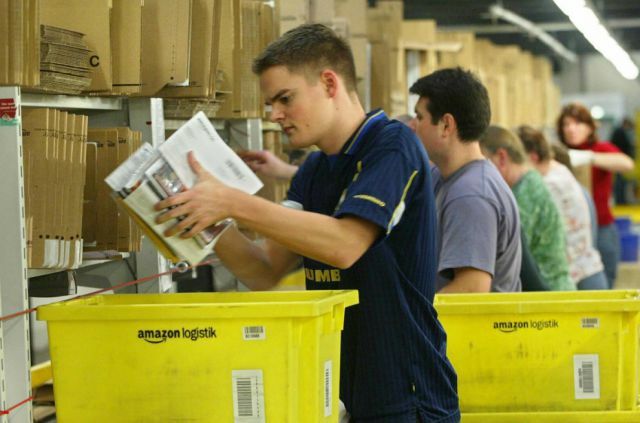 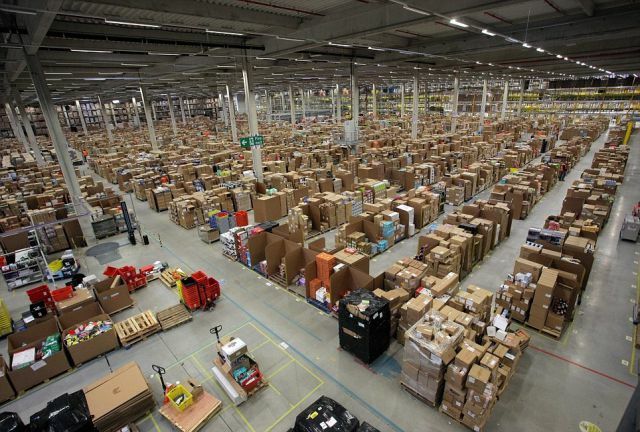 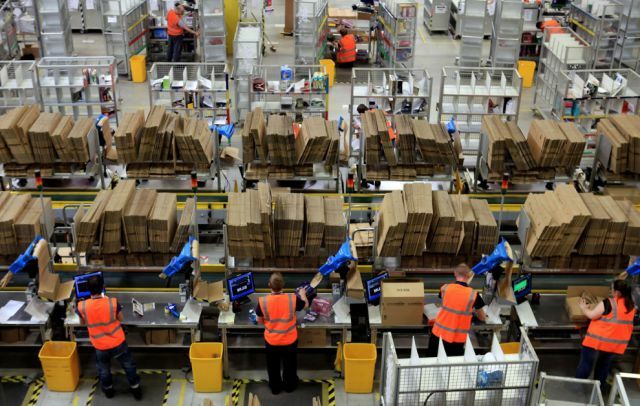 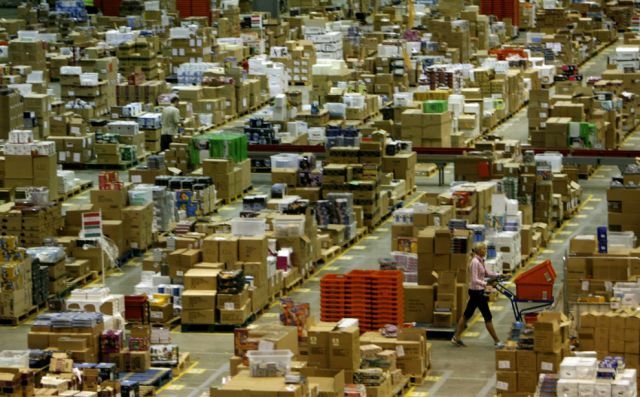 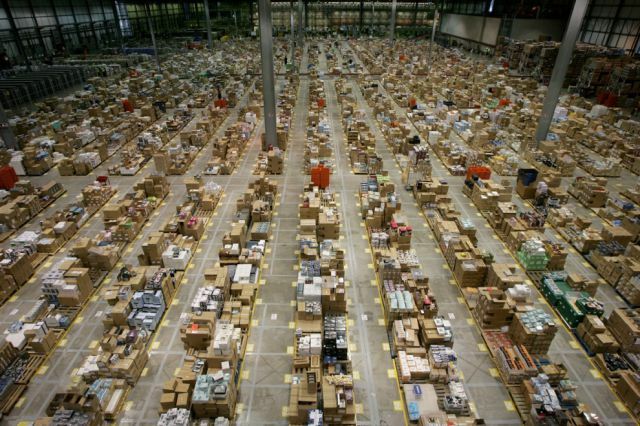 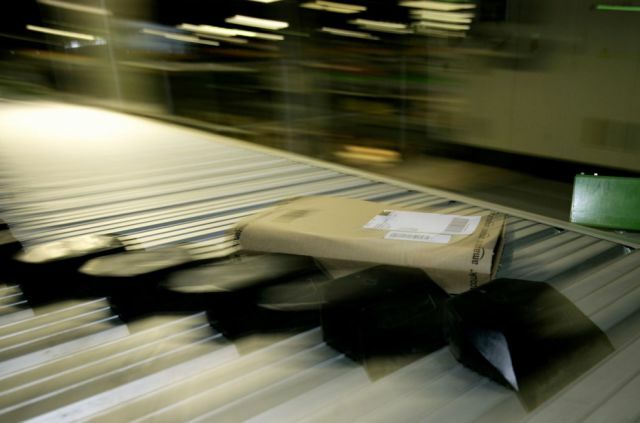 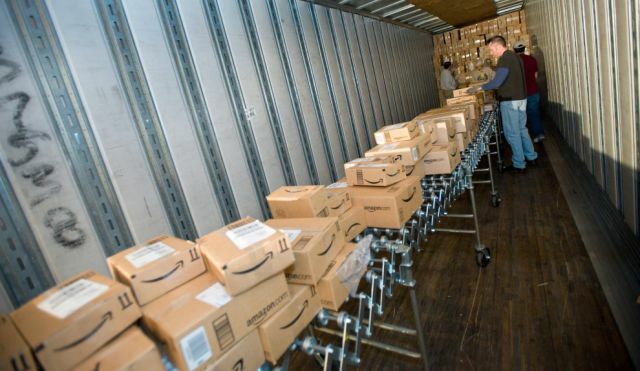 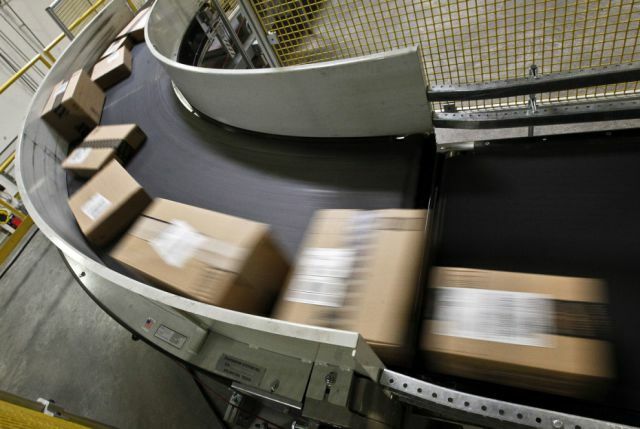 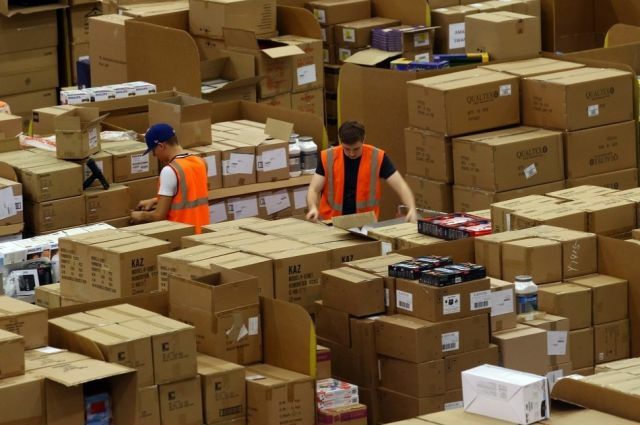 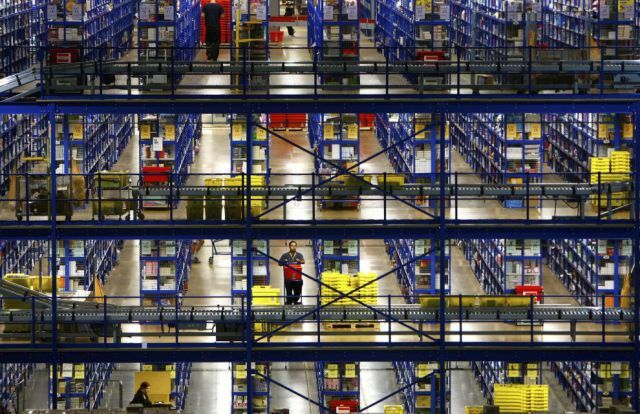 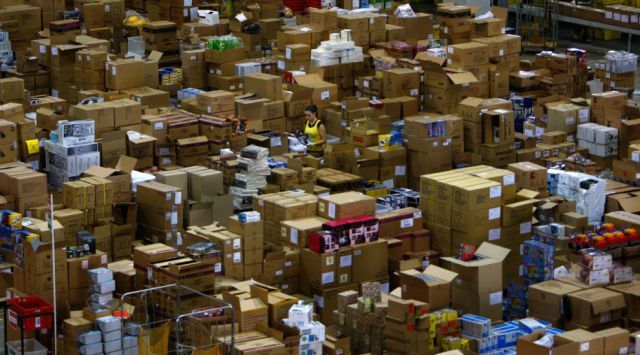 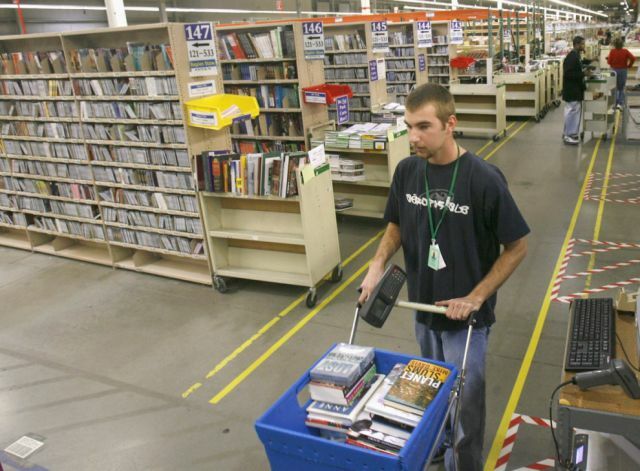 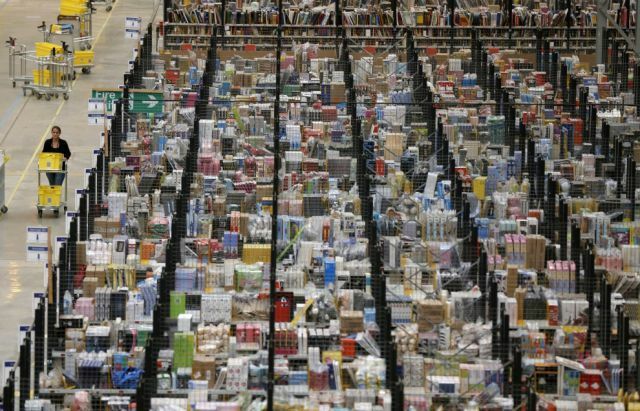 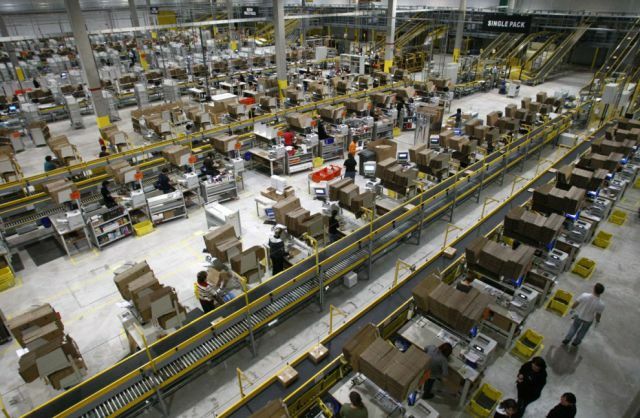 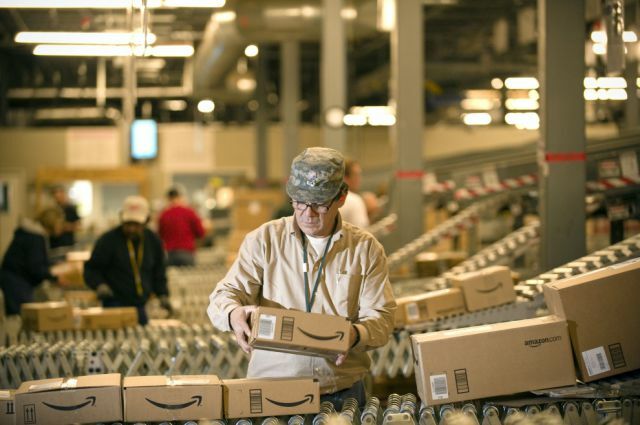 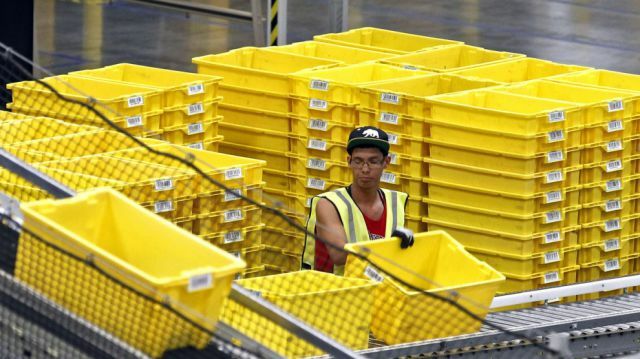 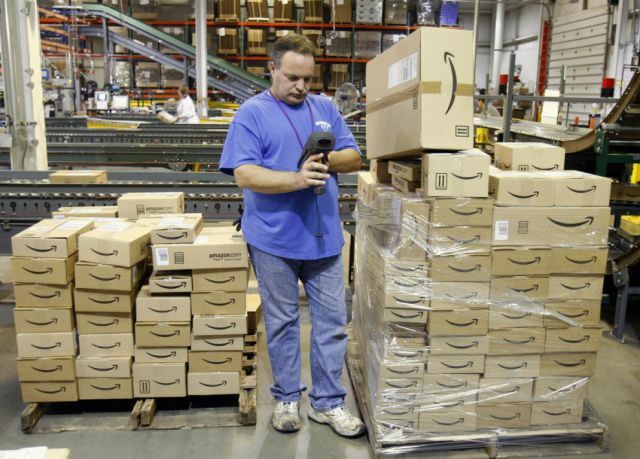 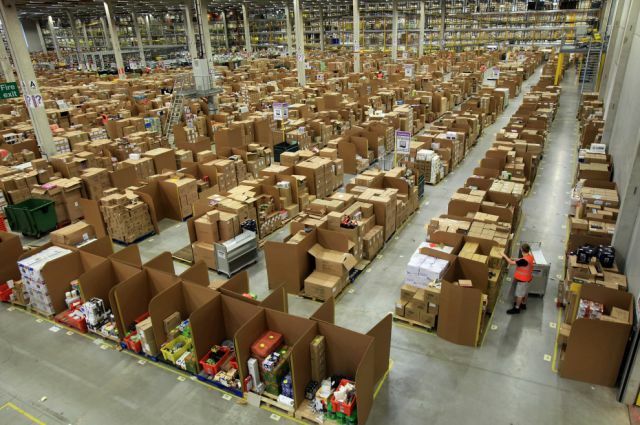 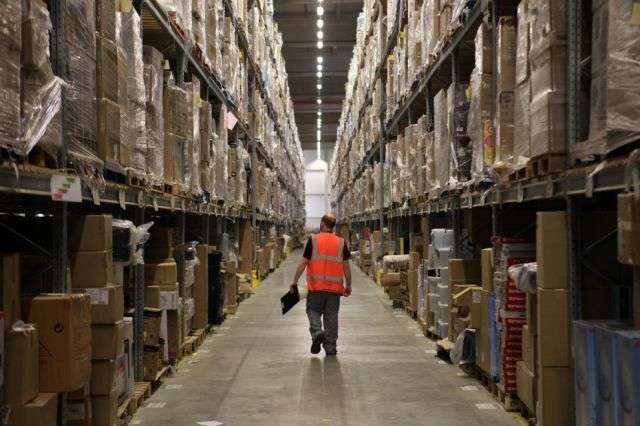 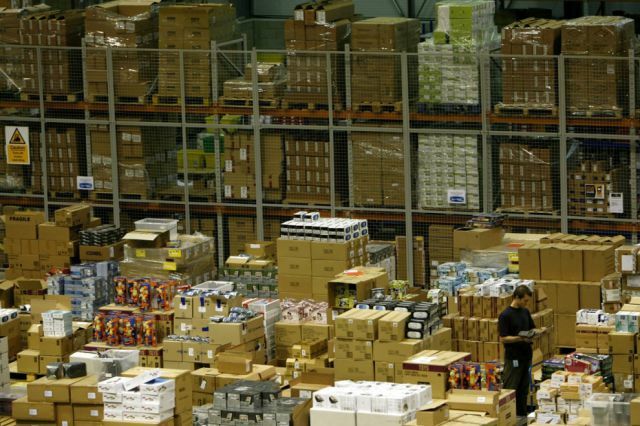 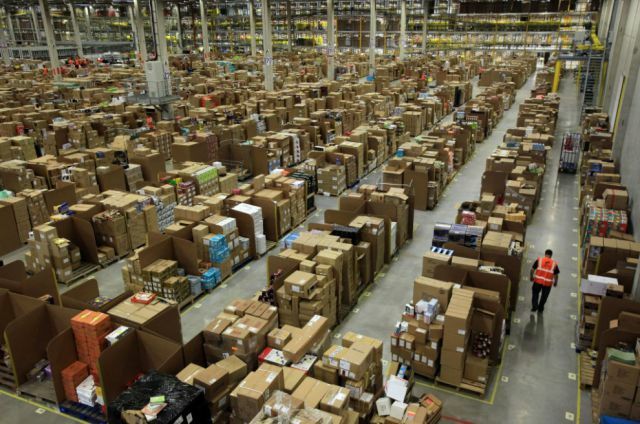 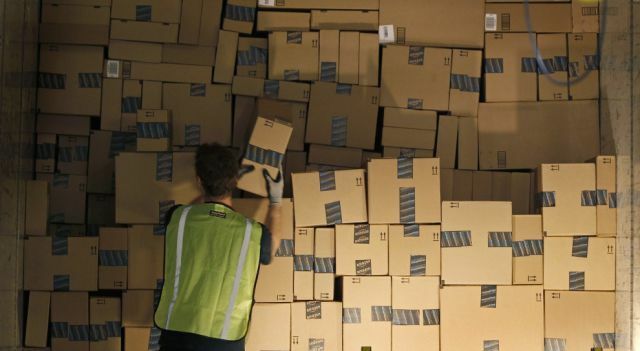 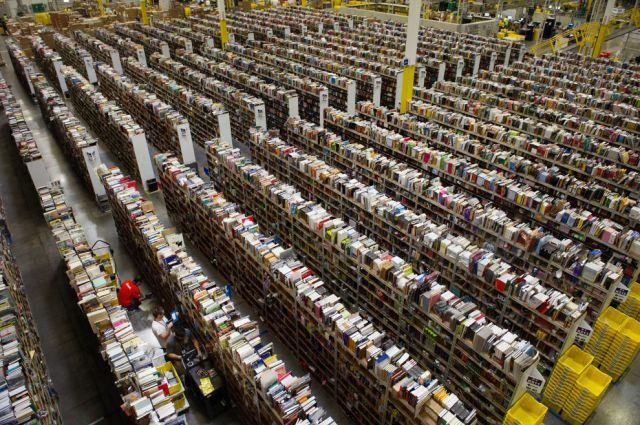 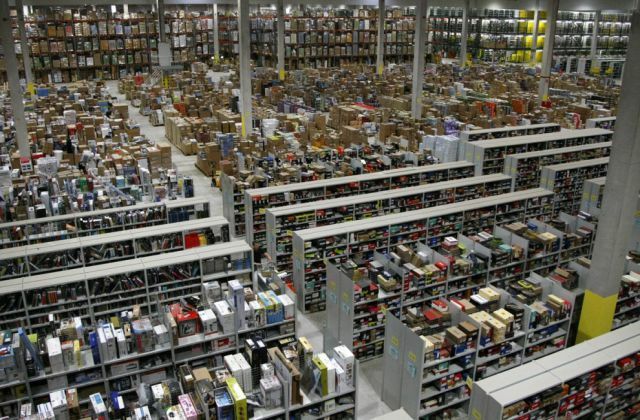 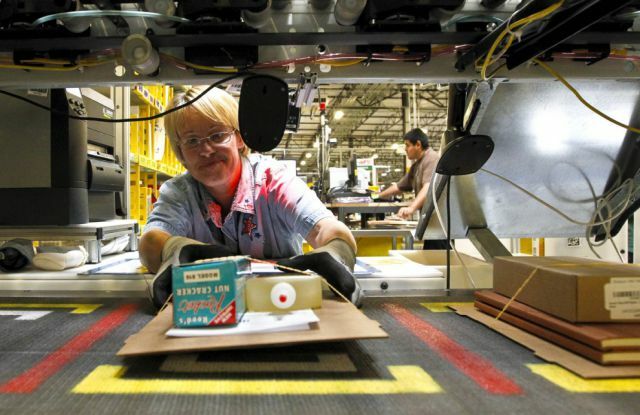 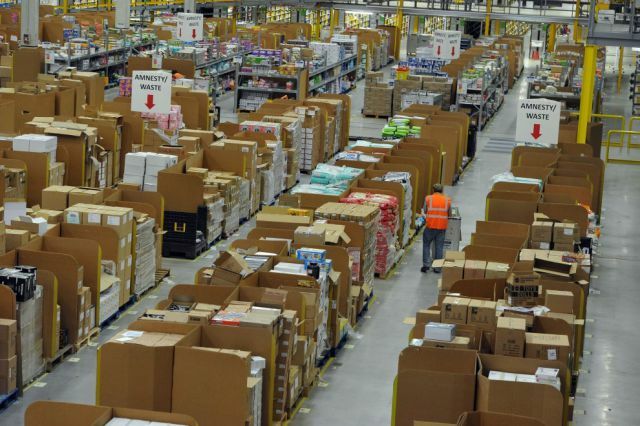 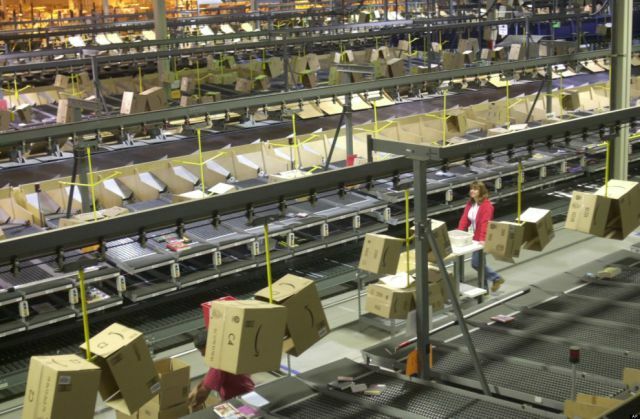 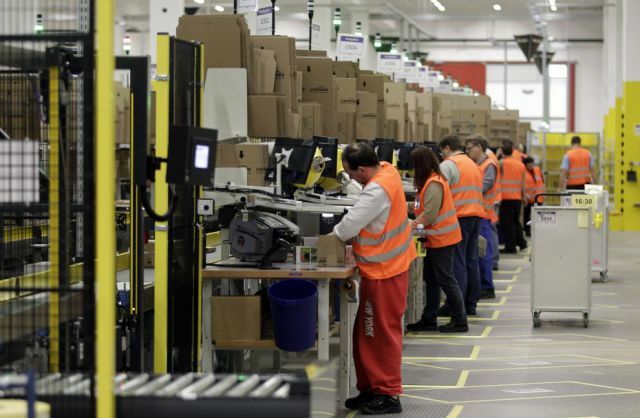 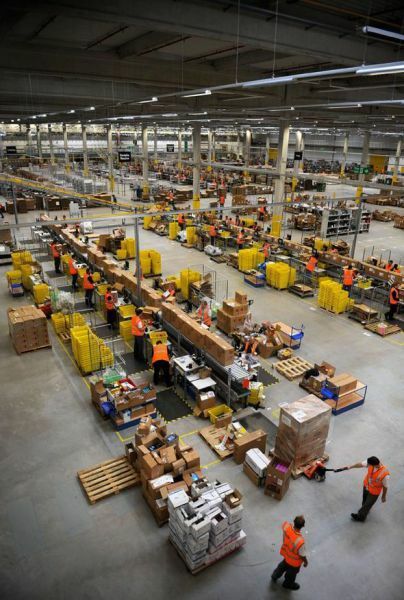 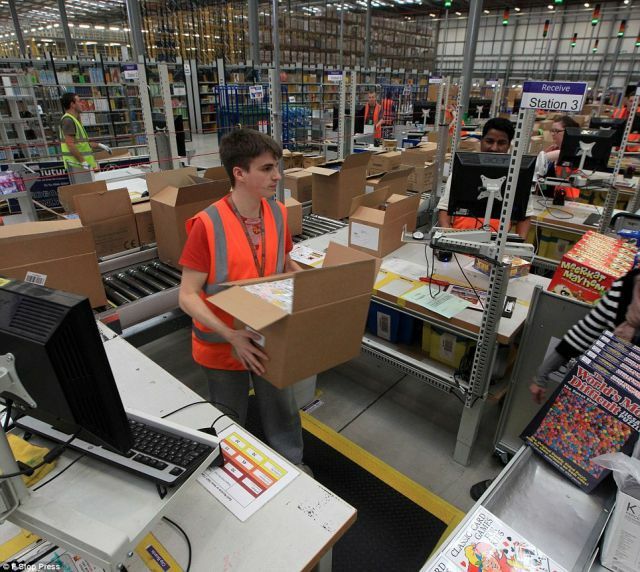 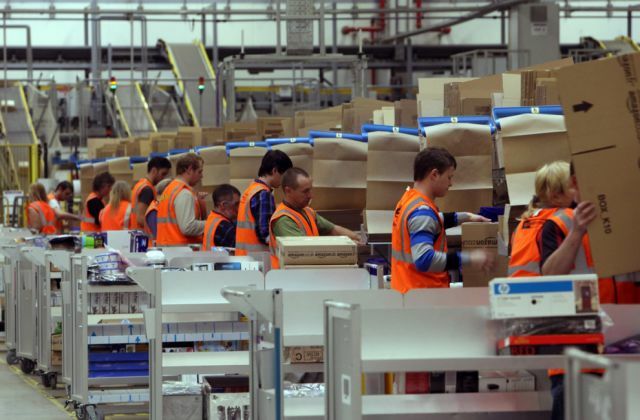 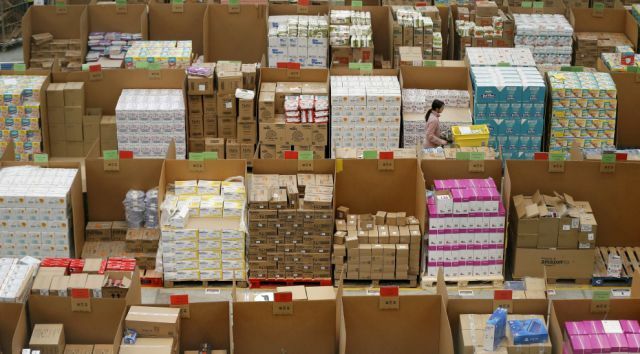 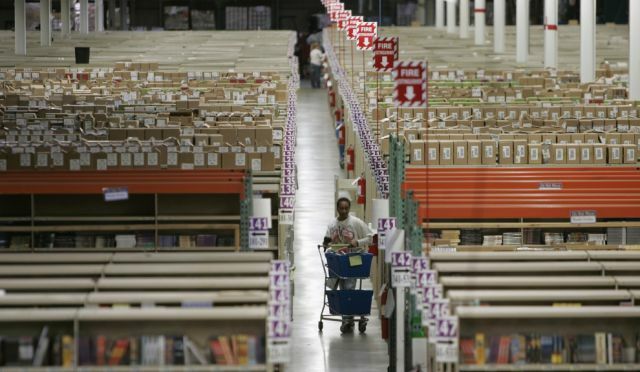 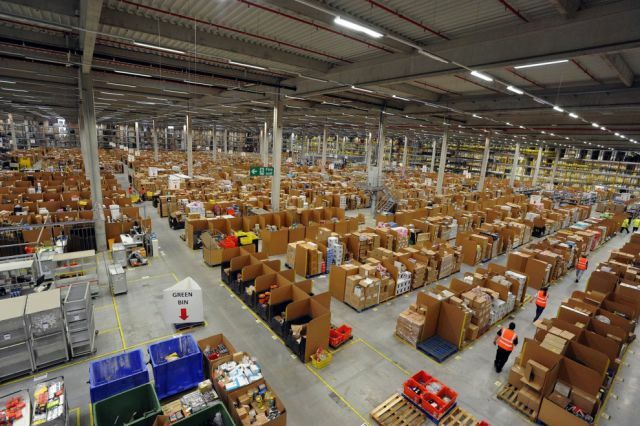 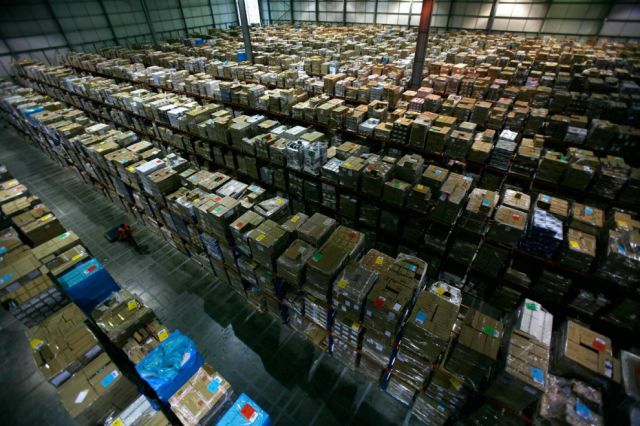 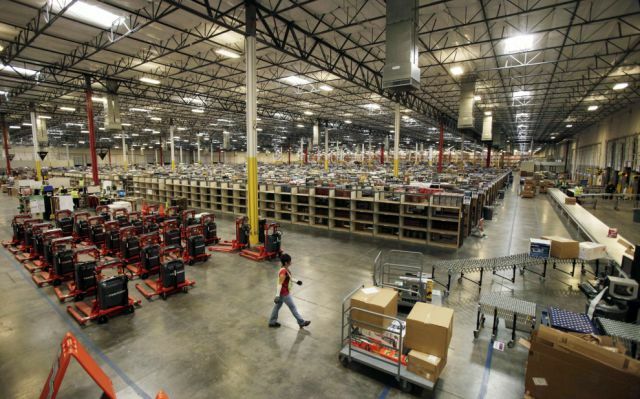 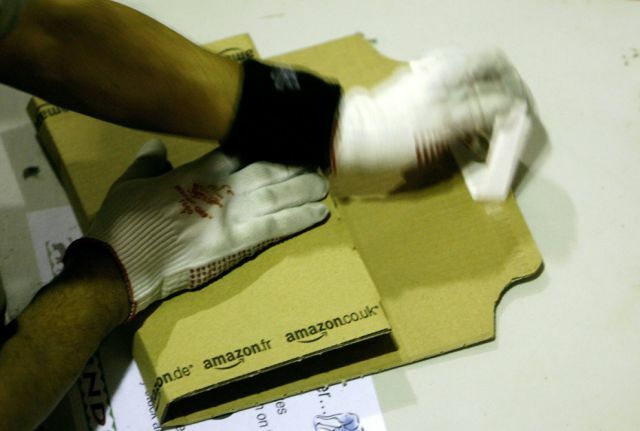 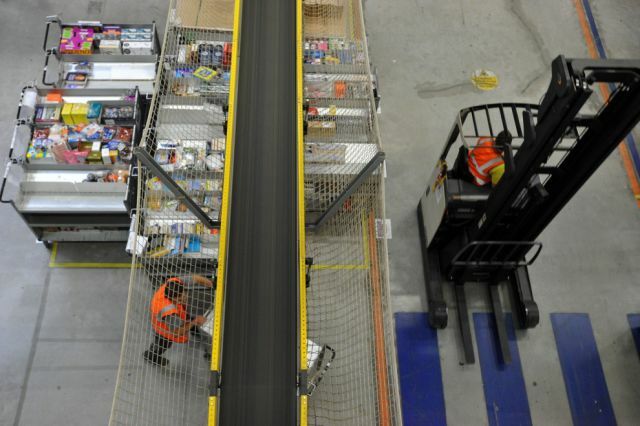 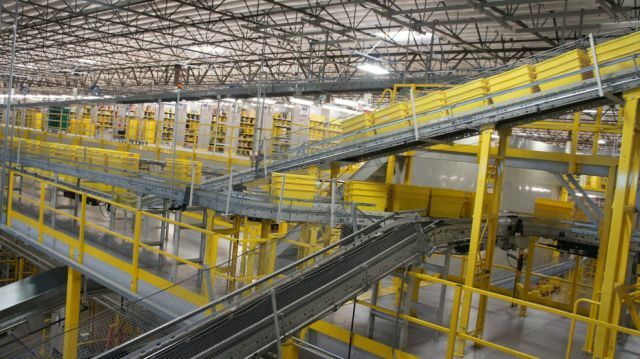 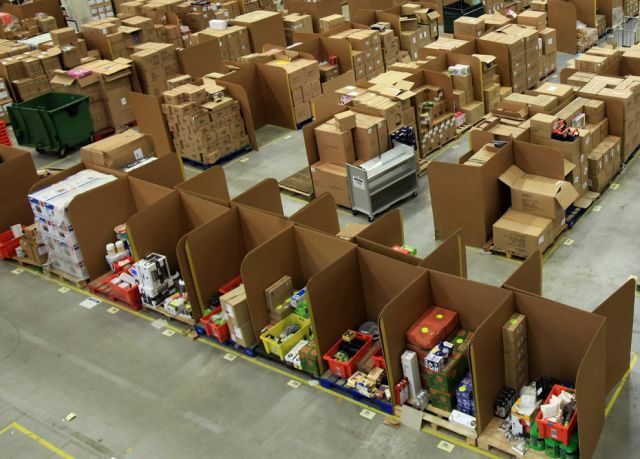 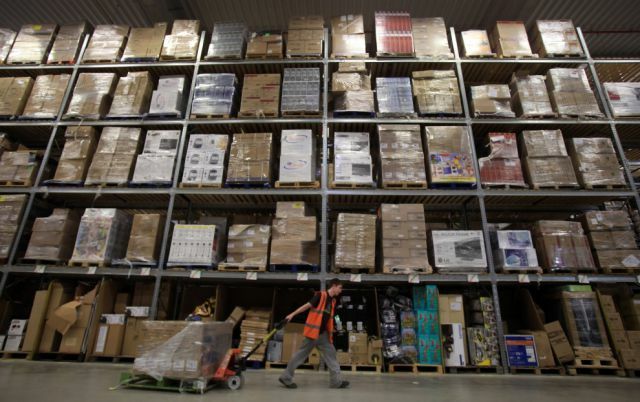 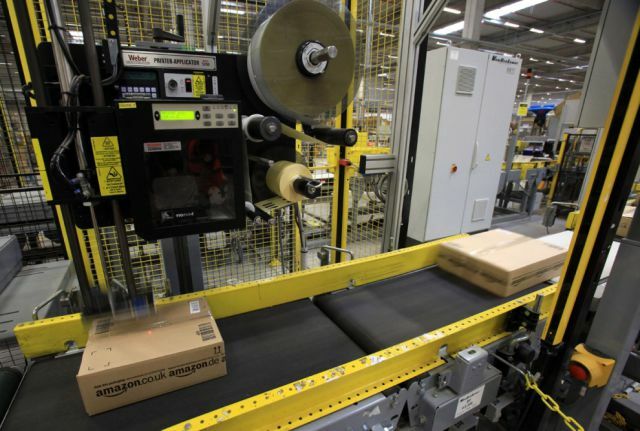 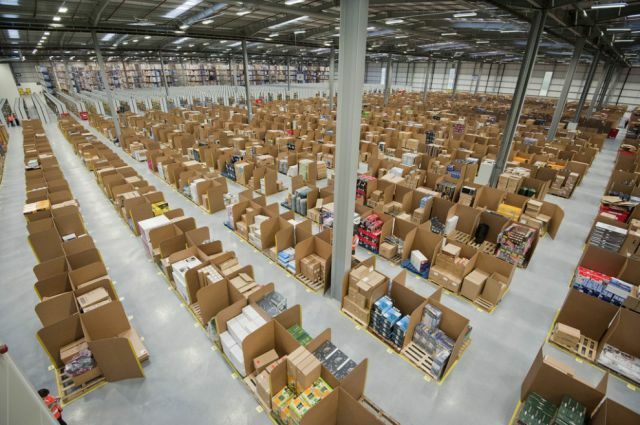 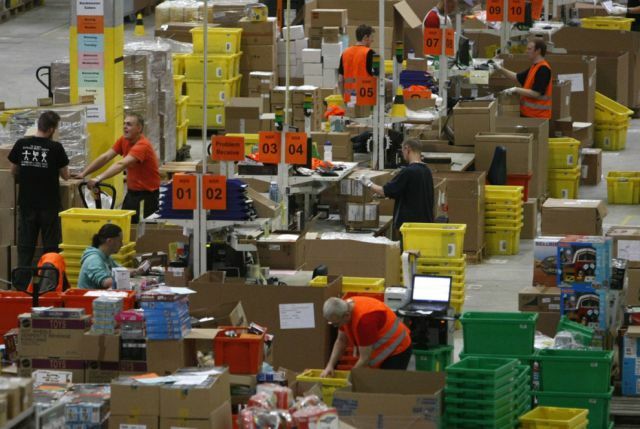 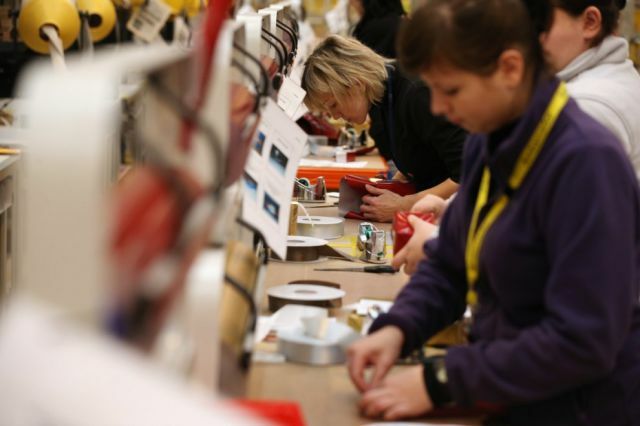 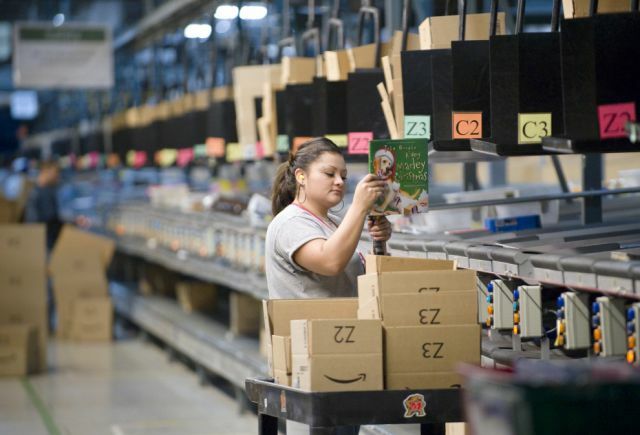 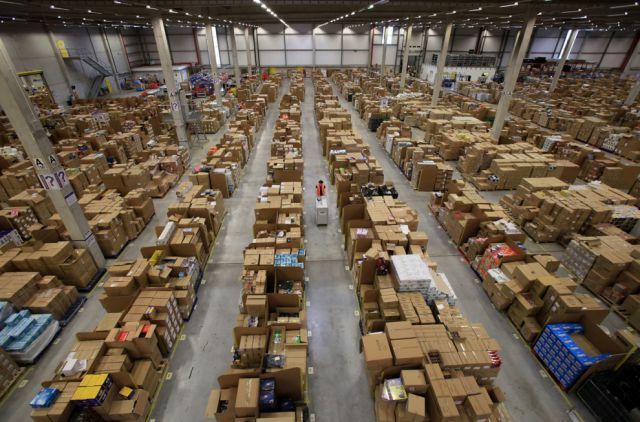 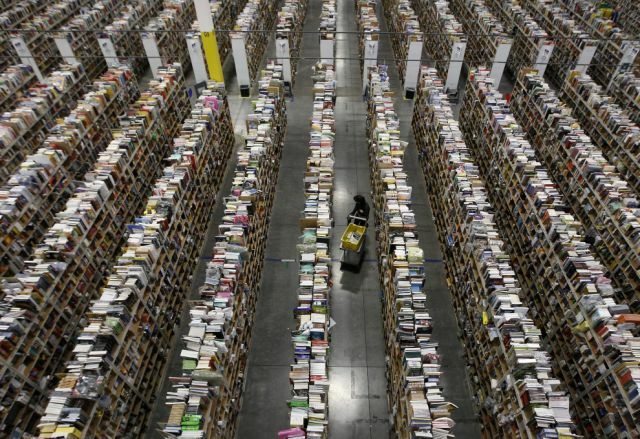 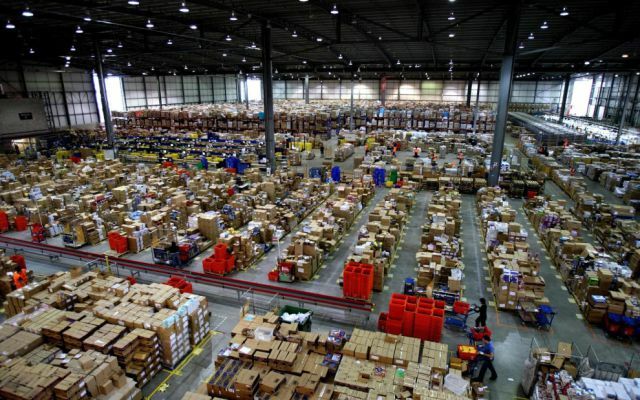 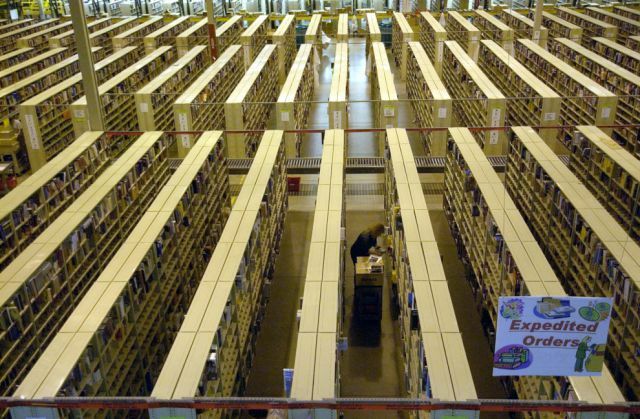 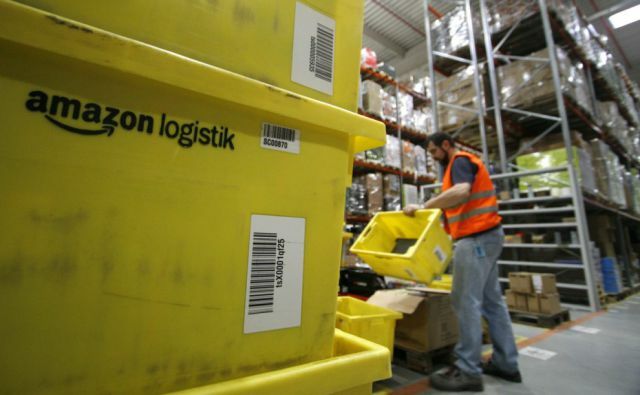 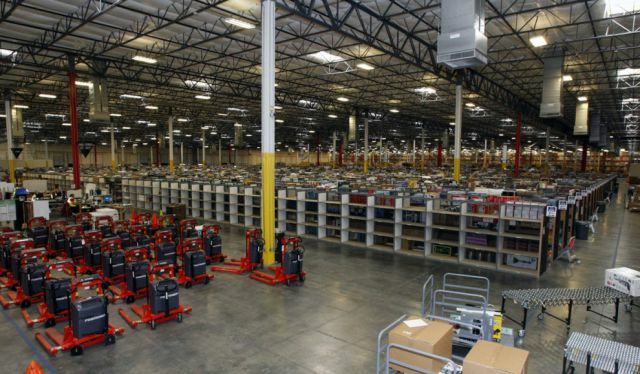 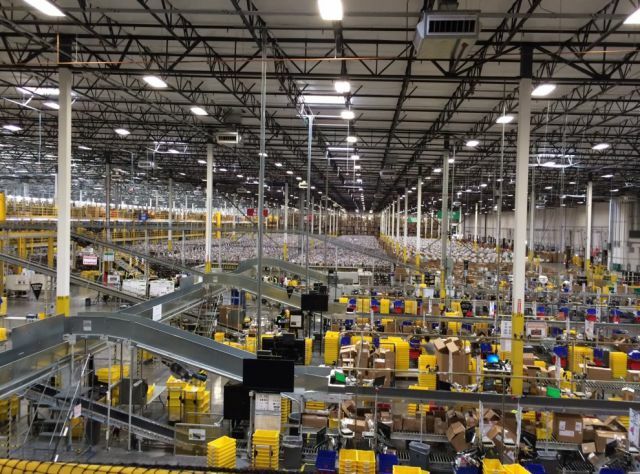 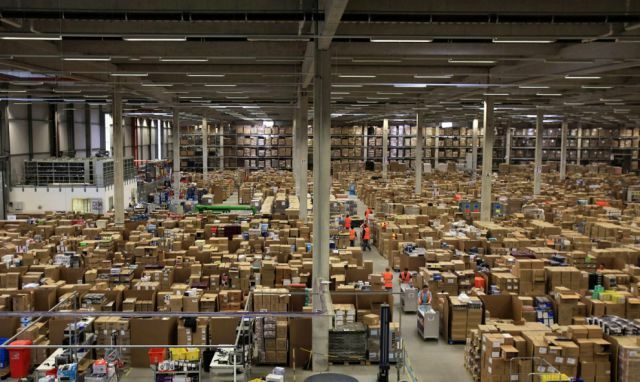 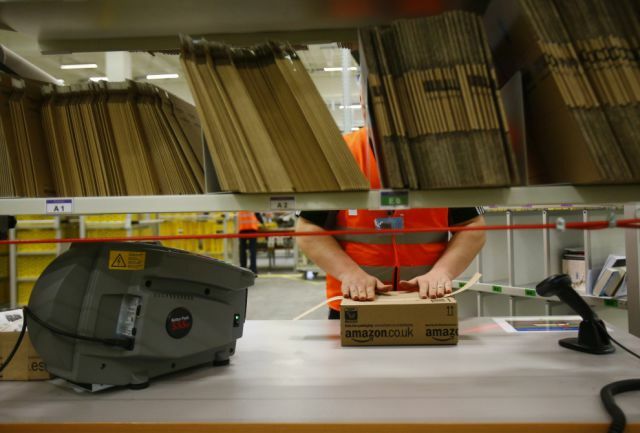 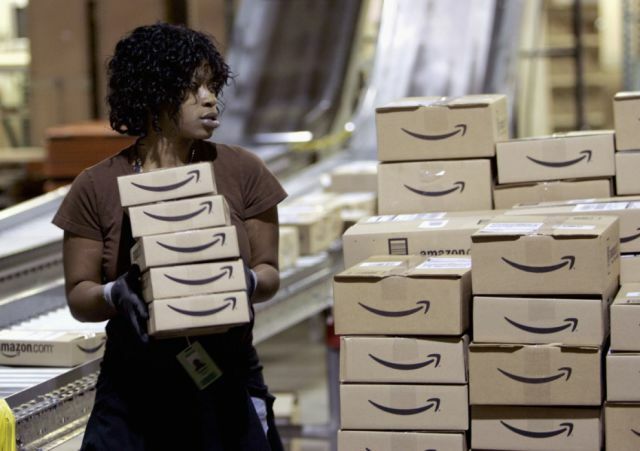 Mother Jones had a pretty good article on the working conditions at an Amazon fulfillment centre about a year ago. 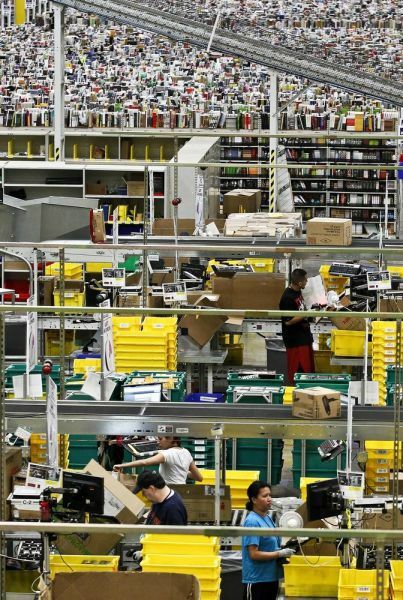 It doesn't sound like a nice place to work and these photos don't make it any better. 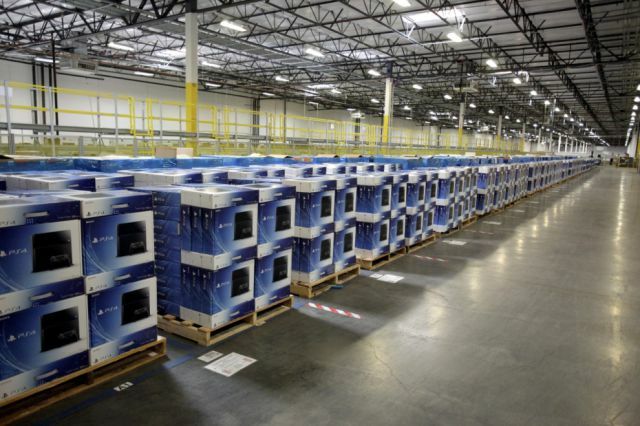 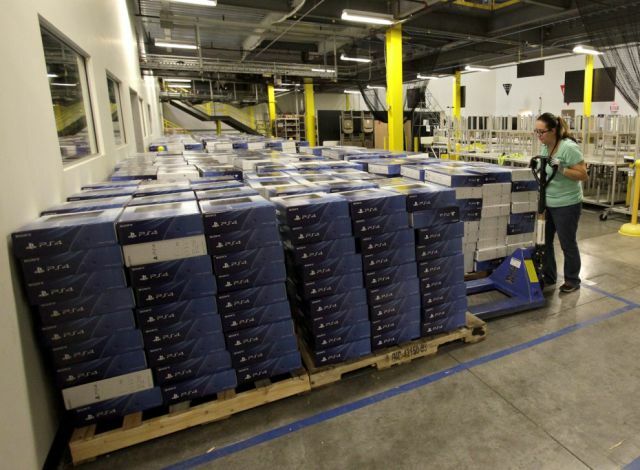 #63, #64, #65 - Seeing all those PS4s in one place is kind of unreal. 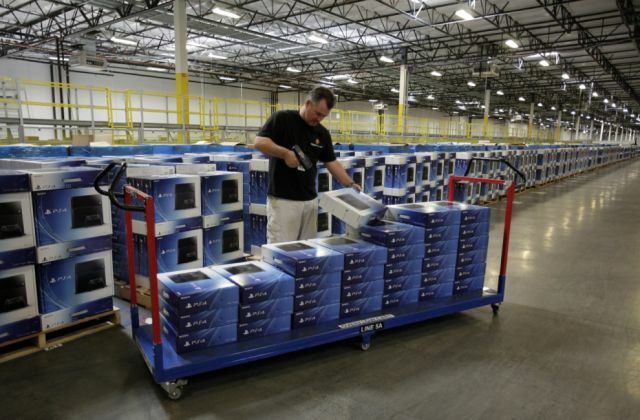 To think people were freaking out just before Xmas because they thought they wouldn't be able to get one.